Cocoa farmer Lawson Lanquaye Mensah, 70, uses a blade mounted on a long stick to cut cocoa pods of a tree on his farm in the town of Assin Adadientem, roughly 100km west of Ghana's capital Accra on Sat. January 21, 2007. 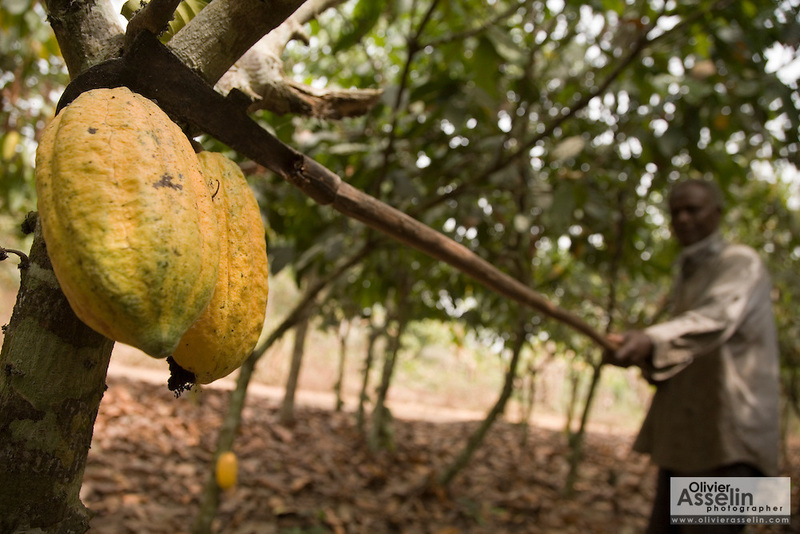 The tool is used to harvest cocoa pods that grow at various heights and are sometimes unreachable by hand.